Tags: Audio mixing equipment, Gear related reviews and tutorials. This is a tutorial for musicians that are using Notion3 to notate and mix classical symphonies. One problem of most musicians notating music is that they do not know how to mix audio or make their mix sound great using their music notation software like Notion3. The objective of doing this mix is to make your work realistically sounding as possible. As if it was being performed by real orchestra musicians inside the concert hall. At the end of this tutorial, you will know how to mix a simple symphony orchestra and actually apply effects settings particularly reverb and panning. This tutorial assumes that you have completely notated your symphony or musical piece. Notating can take a lot of time and patience. This is usually done by music degree students or music professionals. In this tutorial, it will be using Mozart Symphony No.25 First movement in G Minor as an illustration. 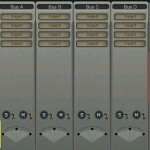 Reverb can add warmth and ambiance to the musical instruments. Most orchestra music are performed inside a concert hall which has high reverberation. 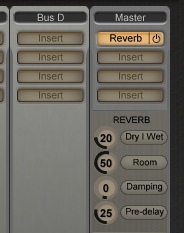 As a beginner the most appropriate way to set a reverb is to apply it on the master output. In the above setting, dry/wet is set to 20, room to 50, damping to 0 and 25 for pre-delay. 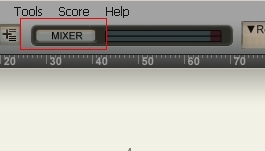 Once you start becoming familiar with the mixer console; you can then apply individual reverb settings for each musical instrument. You can insert them on the track. 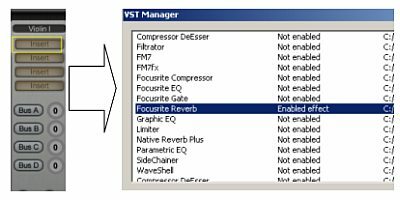 To do this, click “Insert” below the instrument and then you can use any VST supported reverb. Aside from reverb, you can insert any plugins possible with Notion3 and VST. For example, you might want to insert compressor, EQ, etc on each of the instruments. However the most tricky thing to do are the panning settings. By default, all musical pieces you created with Notion3 does not have any panning so they don’t sound good in stereo. 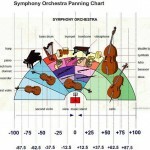 Now that you understand the basic principles of panning instruments in Notion mixer, let’s proceed exactly how to pan symphony orchestra instruments.